With spring fast approaching, many of us are well into calving season. An awareness of potential post-calving complications and disorders can be helpful when preparing to deal with problems we may encounter in our beef herds. One frequent problem encountered during calving season is failure of passive transfer (FPT), which occurs when a newborn calf does not receive adequate colostrum. The importance of colostrum: Colostrum is the first milk produced by the dam following calving. It is a rich source of immunoglobulins, fat (energy), vitamins and minerals. The major role of colostrum is to passively transfer immunity from the dam to her calf. Calves are born agammaglobulinemic, or without any antibodies to protect them against diseases. FPT occurs when the calf does not receive this passive immunity. Newborn calves are dependent on the ingestion and absorption of colostral immunoglobulins for immunity from diseases early in life. 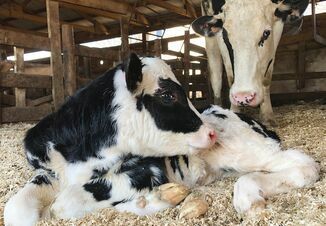 Newborn calves are especially susceptible to calf scours, diarrhea occurring during their first month of life, which has a variety of bacterial and viral causes. The quality of colostrum can be affected by the dam’s age, vaccination and health status. Colostrum from an older cow is usually of higher volume and better quality than that from a younger cow or heifer. It is tan to yellow in color, and should be thick and creamy. The quality of colostrum from beef cows also tends to be higher than that from dairy cows. Colostrum quality can be estimated using a colostrometer, which measures the specific gravity of the colostrum. Colostrum containing over 50 g of Ig/L is considered to be of good quality. Managing calves at risk for FPT: The best defense against FPT is good colostrum management, ensuring that each calf receives an adequate amount of good-quality colostrum shortly after birth. 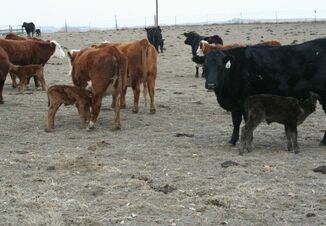 Ideally, newborn calves stand and suckle shortly after birth. However, several factors, such as dystocia, a weak or chilled calf, adverse weather conditions, or an inattentive mama can delay or prevent the newborn calf from nursing. If you suspect a calf has not nursed, or if the calf is at high-risk for not nursing, it’s a good idea to intervene and provide it with colostrum. There are several options for providing colostrum to the newborn calf. Ideally, the calf should receive colostrum from its own dam. If possible, restrain the dam in a chute and help the calf nurse her. If the calf will not or can not suckle, milk the cow out and feed the calf with an esophageal or tube feeder. While it may take a little more time and effort, getting the cow in the chute will also allow you to examine her for any teat and udder conditions that may be contributing to the problem. The next best choice for ensuring colostrum intake would be to feed colostrum (fresh or frozen) from other cows in the herd. It’s a good idea to have pooled colostrum from some of your older animals available at the start of every calving season. Fresh colostrum can only be kept for several days in the refrigerator until it starts to decline in quality. Frozen colostrum can be stored for 1-2 years and thawed when needed. As a last resort, colostrum from dairies or other cattle operations can also be used, but should be used with caution. Diseases such as Johne’s disease, Bovine Leukosis, and salmonellosis can be transmitted through colostrum. If possible, try to determine the disease status of the herd when obtaining colostrum from an outside source. Preventing problems: FPT can cause significant economic losses to the producer through increased calf illness and death. Ensuring adequate colostral intake can affect calf health and survivability. Understanding the risk factors that contribute to FPT can help prevent problems from occurring. Good nutrition is necessary for the dam to produce high-quality colostrum. Vaccination of cows prior to calving with pathogens causing calf scours has been shown to reduce the incidence of diarrheal diseases in calves and may be considered in high-risk herds. Producers experiencing a high number of calves with FPT should contact their herd veterinarian to help evaluate overall herd immunity and health management practices. In addition to ensuring adequate immunity in calves, minimizing disease exposure is a critical component of any herd health program. 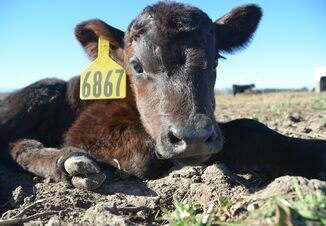 There are several things producers can do to minimize the overall disease challenges that calves are exposed to, such as: providing clean, dry calving areas; cleaning bottles and esophageal feeders between calves; and avoiding the introduction of new or outside-sourced animals into the calving and nursing areas. The key to herd health is a combination of maximizing herd immunity, reducing exposure to pathogens, and practicing good biosecurity. Remember, the first nursing is the most important meal this calf will take. Make sure it’s a good one.